1. The work environment of China flap disc. Try to use the flap disc in a room, because the indoor environment is rather neater and orderly, the operator should also concentrate so to avoid accidents. If in the outdoor environment, try to choose in a quiet environment to operate the coated wheels. 2. In the grinding process, it should keep constant room temperature, the product to be polished can not be wet or with water drops on it, so as not to slip. 3.In the grinding process, the product to be polished should remain in parallel with the work platform. Second, the operator should master the force, neither too strong nor too weak. 4.Any China grinding wheel has its wear limitation, wear and tear to a certain extent must be replaced with a new wheel. It is not allowed that in order to save material, but still use the grinding wheel that not reach wear requirement anymore, which is a very unsafe and illegal behavior. When repairing or to replace the China grinding wheel, we often use a very stupid way to determine whether there are cracks in the wheel, or can it still works. 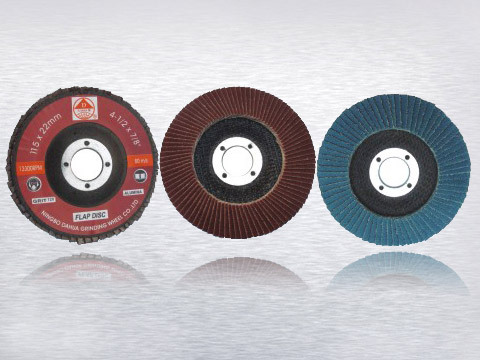 Using a stick gently knocks on the China grinding wheel, and listen to the sound, If it is the crisp sound, means the grinding disc can still be used, if issued a husky and low sound, then implies that the grinding disc has cracks and other undesirable problems.